Small but perfectly formed, this little bathroom basin is just the sink you've been looking for. It's perfect for either a downstairs toilet or a smaller family bathroom where you're restricted on space. Measuring only 330mm across, there will be space for this wall hung sink in even the tiniest bathroom space. The sink comes with a lifetime guarantee, and is very easy to install. The shiny white surface makes it easy to maintain too. This square and contemporary basin is part of the wider Cali Vessel range, so creating a cohesive look in your bathroom is very straightforward. Choose your own style of tap and waste to suit your personal tastes, or to match with other handles and taps in the bathroom. 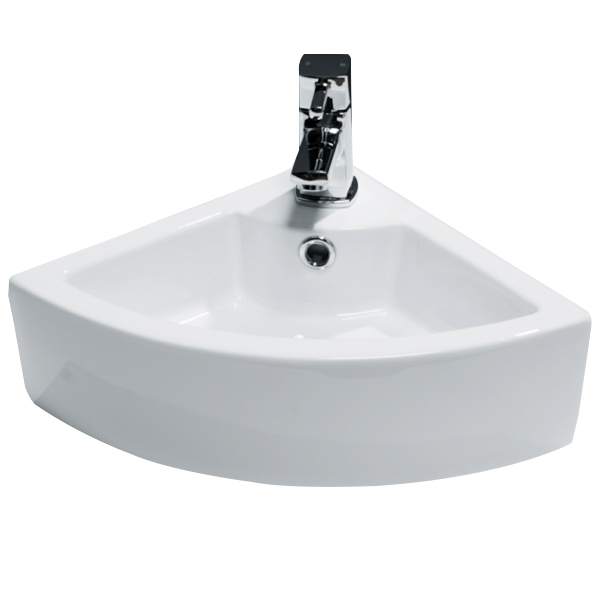 We are sure that this is one of the most stylish, best value for money small basins on the market, and there's no surprise that it's one of the most popular with our many customers. Ordered easily on the website on a Sunday, acknowledge on a monday, arrived on the wednesday. Nothing more to say. it was not only a nice item even with good price and no delivery charge.